A group from RJ Power Networks was invited onto a Commission and Testing course which could provide a valuable career boost. The course in Capenhurst, hosted and run by EA Technology, was designed to give the team an in-depth view into basic Protection Engineering. It could provide a starting point for those who might be considering a move into that area. 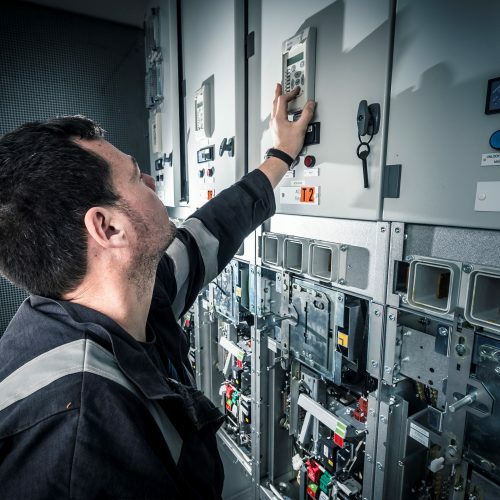 With a shortage of Protection Engineers in the electrical industry, the training could provide a valuable career boost for those who attended. Now those team members can move onto the Power System Protection 1 course to continue their development. A spokesperson for RJ Power Group said: “We think it is important to have our work force go on regular training as we find it keeps employees focused as well as motivated in their day to day tasks, but also motivated towards their personal career goals. “We like to invest in people and their careers, we always strive to develop our employee’s careers by sending them on quality, specialist training to gain new skills and qualifications. We hold regular personal development meetings with each member of staff to find out what they would like to achieve in their professional career whilst working for RJ Power.